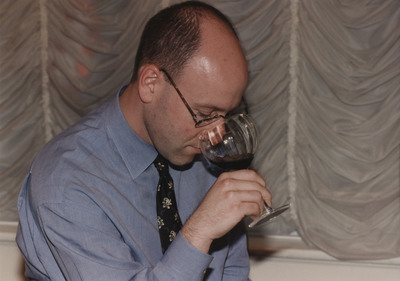 This image shows Matt Green at the Erath Vineyards 25th anniversary celebration at The Mark Hotel, New York City. Hinsdale, Lane, "Erath Vineyards 25th Anniversary 05" (1997). Erath Winery Photos. Image. Submission 82.